The underside of the station module showing the construction method used. Holes have been drilled into the plywood cross-pieces to help keep the weight of the module down, as well as providing access for running cabling. Construction of "Wallerawang" has been underway since early 2007. The station building is already complete, having been scratchbuilt during the winter of 2007. The two front modules and two end modules have been built and track has been laid on the front modules and around to the middle of each end module. 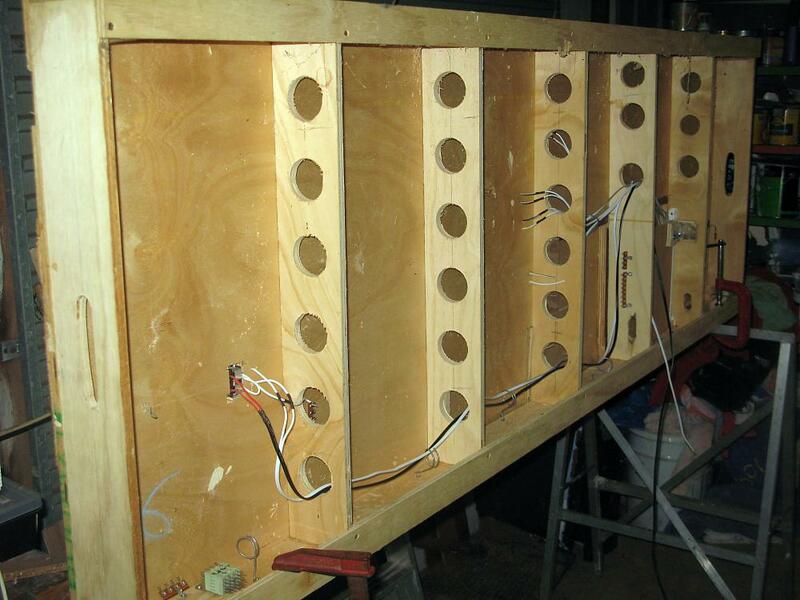 Two sliding drawers were built and fitted, which will hold the control panels for each front module. The control panels have been designed and are ready to be mounted. A view of one of the front modules showing the Up and Down main lines, the Up and Down relief roads, and the siding for the Goods Shed. All track on the front modules has had the sleepers and the side of the rails painted. 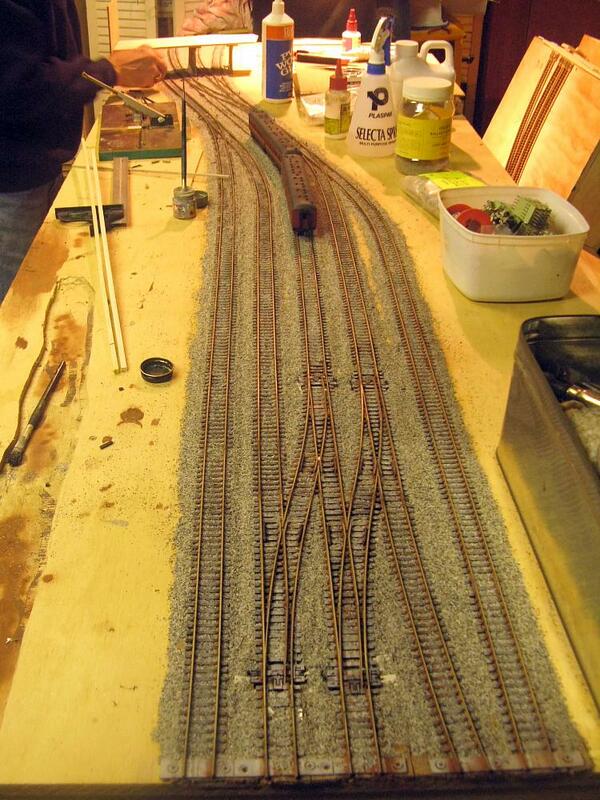 The track has also been ballasted, and once the wiring is completed, the track blocks will be cut. Contruction has started on the road bridge located at the western end of Wallerawang. 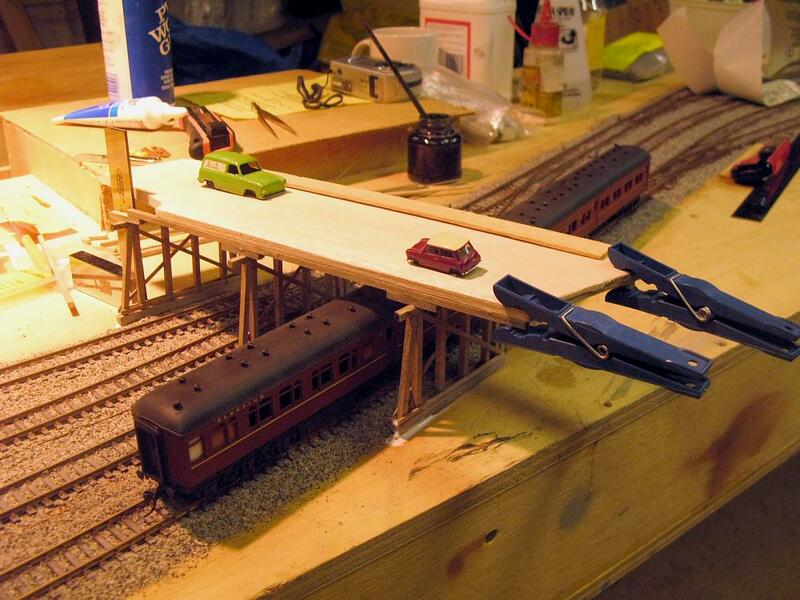 Constructed from scale lumber and balsa, the road bridge is modelled from drawings and photographs of the original bridge. Nut/bolt/washer castings have been added to the bridge supports before they have been glued into place. The 12-wheel passenger coaches are being used to double-check the loading gauge clearances.